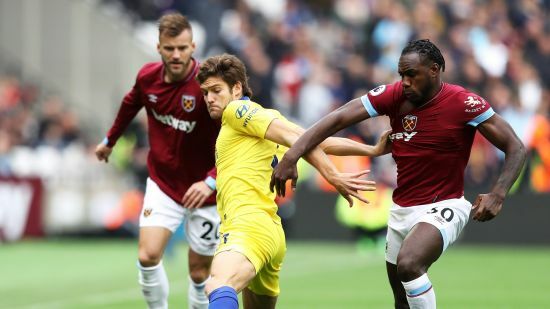 Having dropped our first points of the season against West Ham yesterday in what was a horrible performance from Chelsea, we take on Liverpool twice in the space of four days and we need to be prepared to be battered in both games. I can't stand Liverpool as any regular reader of my Blog will understand and there is nothing I love more in a season that beating them but I am deeply concerned about what is going to happen with the way we are playing defensively. Yesterday against West Ham there were times that we were exposed out wide and that is our biggest problem. If you then add the problems we have in the final third, then I am not looking forward to this at all. I am only being honest here from what we have all seen from Chelsea under Maurizio Sarri so far. There were times yesterday that he was less than impressed and I have to say at times I am the same. Chelsea's problems start with our midfield and the fact that N'Golo Kante is wasted in his current position and is not able to have the same influence as he did playing at the base of the pivot. In addition, Jorginho without the ball can't tackle and only makes powder-putt attempts at doing so which in this league is not good enough. This is not Serie A for god sake - this is the strongest and hardest league in the world! When Chelsea press forward, high up the pitch to try and the ball back it's doing so with a real element of risk involved. For the most part we are successful and one way or the other win the ball or possession as intended. It's when the opposition play around or through us it causes us immense problems. We have been exposed numerous times so far this season with a whole host of chances for the opposition to score, until now we have not been put to the sword but against Liverpool we will be. Now watching Match of the Day 2 last night, Martin Keown was talking of how impressed he has been with Sarri's style and gave examples of our full-backs in attacking / defensive areas. He mentioned "One goes forward, one stays back and tucks in alongside the two centre-backs". For me that isn't the case, the most disciplined is Cesar Azpilicueta who has restricted the amount of times he gets forward. That's because Marcos Alonso is becoming a problem defensively as the weeks go by. Alonso has received praise for this performances ever since he walked through the door at Stamford Bridge and rightly so. His involvement in attacking areas has been excellent but it's now his positioning without the ball and the fact that he gets caught out having pushed too far forward that is a problem. 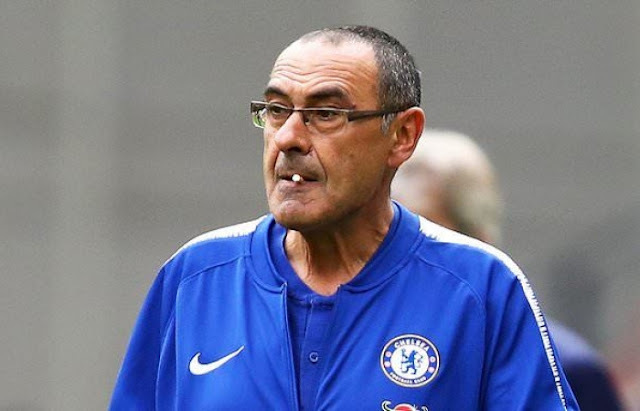 Maurizio Sarri was seen berating him at one point on the sideline because he left us exposed down that side. It was only because West Ham couldn't take full advantage that he got away with it yesterday. Against the Liverpool front three, it will be a very different story. Firminho, Mane and Mo Salah will find that there will be plenty of space in behind our midfield to attack our back line, they will also find plenty of space down our left hand side if Alonso keeps pushing forward as much as he does - it's worth noting he would be up against Mo Salah so make of that what you will. 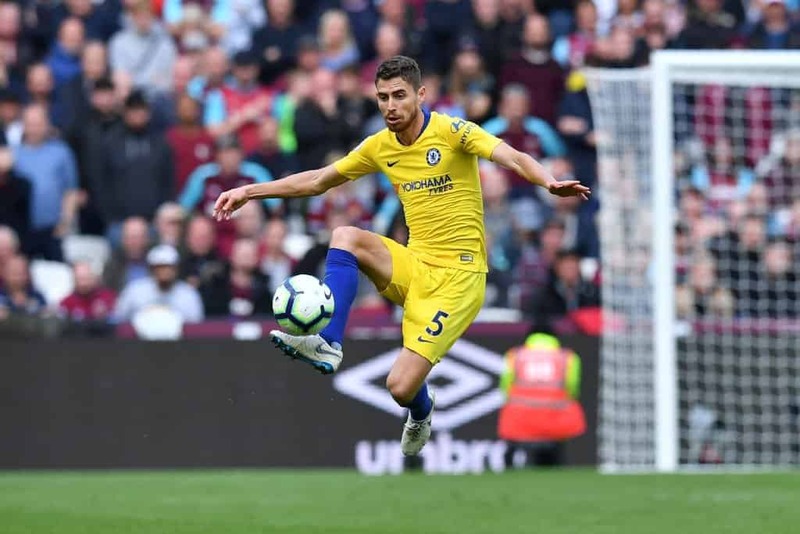 Liverpool WILL create numerous chances against us with the issue of Jorginho and Kante in the wrong positions - I cannot see why they cannot swap and the Alonso issue. Arsenal should have scored at least four goals against us, Bournemouth should have scored three and West Ham should have put away two yesterday. These teams (no disrespect) do not have the same firepower as Liverpool - as much as it pains me to admit, and I can only see one thing happening on Wednesday and against on Saturday evening - if we continue as we have been without the ball. I am deeply concerned for this week and I am sure most of the Chelsea fans are too.